KIEV, May 30 2013 (IPS) - As a hepatitis C pandemic rages among drug users and threatens the lives of millions around the world, a group of high-level leaders called today on governments to reform their drug policies and raise awareness about the public health threat of hepatitis C.
In a major new report, the Global Commission on Drug Policy, which includes former presidents, high-ranking United Nations (U.N.) officials and human rights activists, says that punitive drugs laws and repressive policies are helping spread what the World Health Organisation has described as a “viral time-bomb”. Michel Kazatchkine, the U.N. secretary-general’s special envoy on HIV/AIDS in Eastern Europe and Central Asia, told IPS, “We need to see drug policies changed, funding moved away from the war on drugs and into public health approaches that maximise hepatitis C prevention and care.” He added that raising awareness of the issue was just as important. The WHO estimates that at least 350,000 people die annually from diseases related to hepatitis C, which causes chronic liver damage. 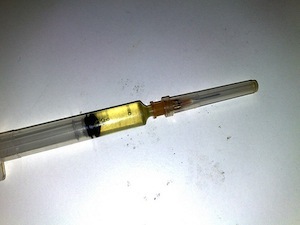 According to the report, of the estimated 16 million people who inject drugs around the world, about 10 million are living with hepatitis C. In some of the countries with the harshest drug policies, over 90 percent of people who inject drugs have hepatitis C.
"[Hepatitis C] needs to be taken as seriously as the HIV/AIDS epidemic among drug users." The highest numbers are reported in China (1.6 million people), the Russian Federation (1.3 million) and the United States (1.5 million). The Global Commission and other advocates for drug law reform have long campaigned to end to the decades-long “war on drugs”, claiming that not only has it wasted vast sums of money and countless human lives, but it has also destroyed communities and utterly failed to halt the multibillion dollar illicit drug trade. The group has also highlighted its catastrophic public health implications. In a report last year, the commission showed how repressive anti-drug legislation and policies, including long-term jail sentences for minor drug offences and the failure to introduce or properly support harm reduction programmes, marginalised and criminalised drug users, ultimately helping to fuel an HIV/AIDS epidemic. This phenomenon has been seen most clearly in Eastern Europe and Central Asia – the only region in the world where new HIV infection rates continue to rise – where the sharing of needles among injecting drug users is the main driver of the disease’s spread. The commission also said that harm reduction programmes, such as needle-exchanges, opioid substitution therapy and support networks for drug users could essentially reverse the HIV/AIDS epidemic in regions such as Eastern Europe. Hepatitis, like HIV, can be spread by blood-to-blood contact and, globally, most HIV-infected people who inject drugs are also infected with hepatitis C.
While the HIV/AIDS public health threat has received significant attention, the spread of hepatitis C, which is three times more prevalent than HIV among drug users, has been dangerously ignored. “I hate to compare HIV/AIDS and hepatitis C and say one is worse than the other, but when you look at the overall absolute numbers, such as infections and so on among the drug-using community, they are even higher,” Kazatchkine told IPS. He pointed to “an overall lack of awareness of the hepatitis C problem at all levels – from governments…to parts of the medical community and among drug users themselves”. “There has been great awareness of HIV/AIDS over the years because of public campaigns, celebrity support and so on but that has been lacking where hepatitis C is concerned. The silence on this issue needs to be broken,” Kazatchkine added. The report stressed that while harm reduction services can effectively prevent hepatitis C transmission among people who inject drugs, prevention can only be achieved if such services are accessible and delivered early and at the required scale. In many places with severe hepatitis problems, access to these resources is severely limited, and where people do have access, quality is often poor. The report highlighted how harm reduction programmes aimed at fighting the spread of the disease had been successful in Scotland. But it also showed that similar schemes in Lithuania – which has an 80 percent infection rate among drug users – were being accessed by only a tiny fraction of those who needed them. People working to promote harm reduction and who are in daily contact with drug users at drop-in centres around Eastern Europe – which has one of the highest hepatitis C infection rates among drug users in the world – are pessimistic about the outlook for control of the disease in the region. “It will definitely get worse before it gets any better,” said Dasha Ocheret of the Eurasian Harm Reduction Network. “There will be more deaths and higher infection rates among young injection drug users,” Ocheret believed.